The snow is falling and the crowds are gathering at the 2018 Christmas at Hemming Village. 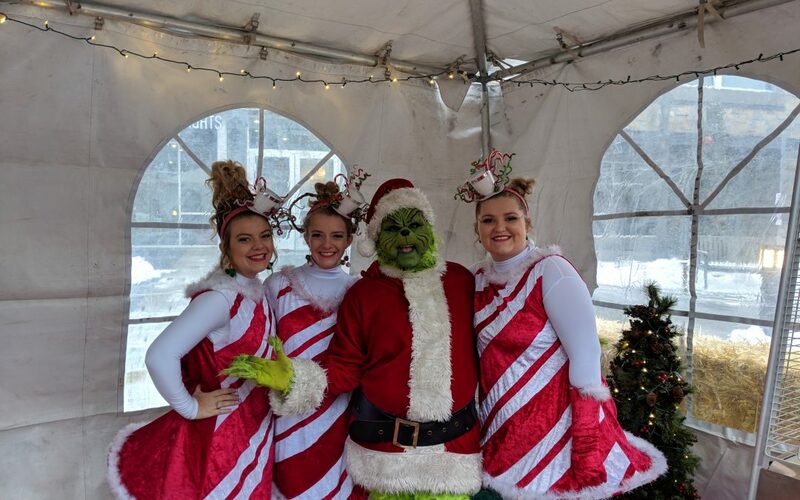 At the free event today Dec. 1, is Santa Claus, the Grinch and rumors say a live Elf on the Shelf is around. It appears though the Grinch’s tactics are not working as there are smiles on the hundreds around. There are even hay rides for those braving the snow. The event continues until 5 p.m. tonight and a live nativity will be performed at 5:30 p.m. There are free refreshments for everyone. Hemming Village is located at 160 West 2nd South in Rexburg.